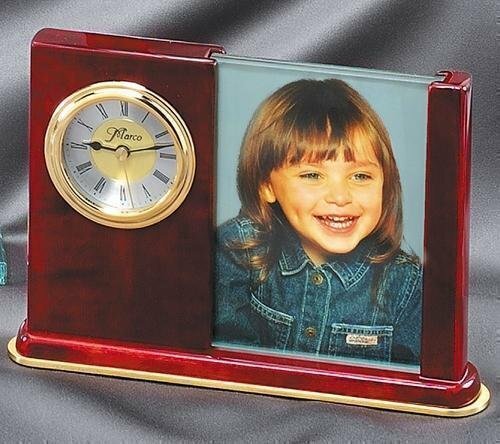 The rosewood clock and picture frame is an elegant way to commemorate a special occasion. 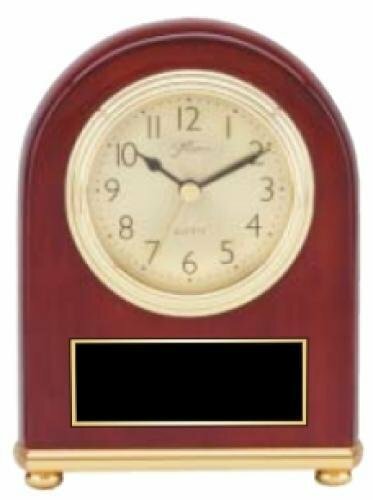 It holds a 3"" x 5"" picture. 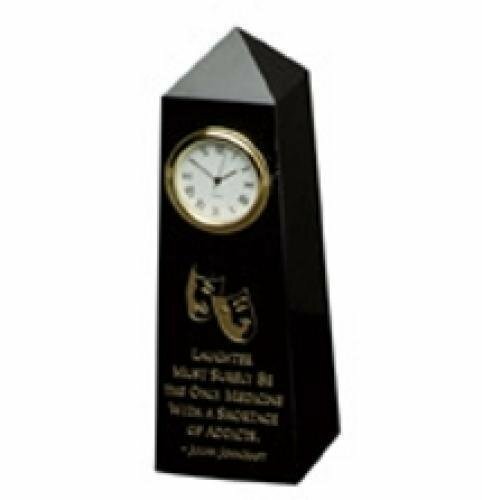 The black aluminum plate is laser engraved. 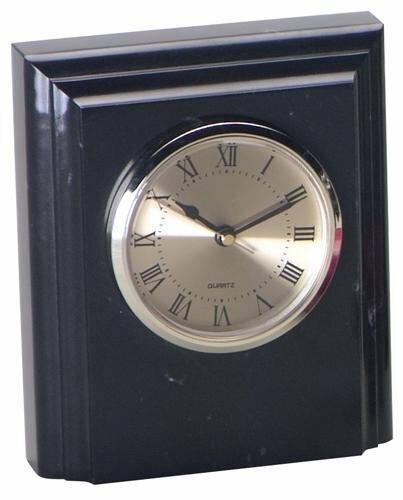 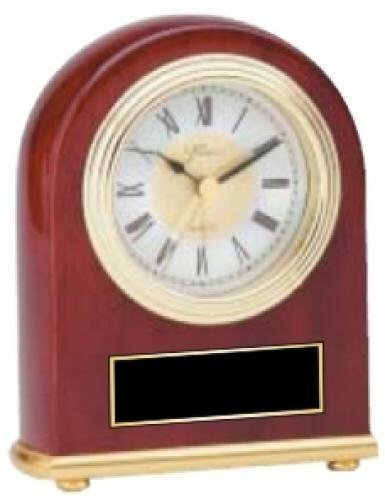 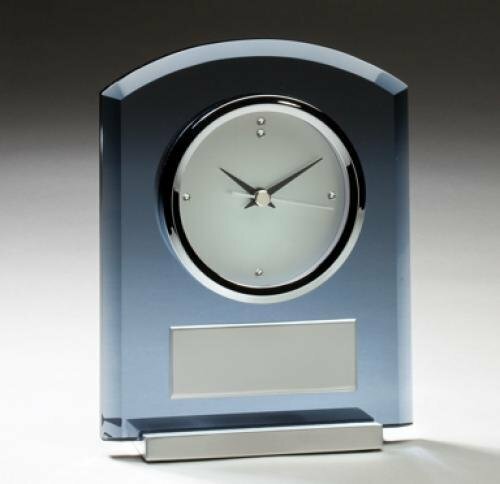 This Smoked Glass Desk Clock has brushed aluminum accents and is an elegant choice for an award or personalized gift. 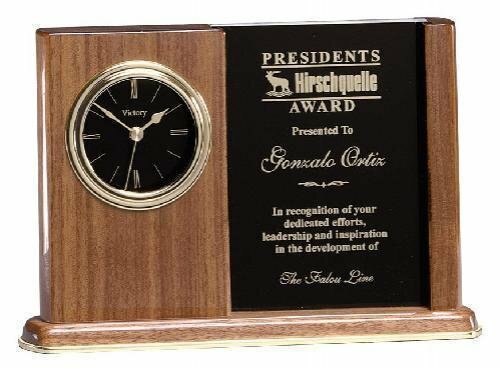 It is a functional awards that can be used to recognize the achievements and accomplishments of special people. 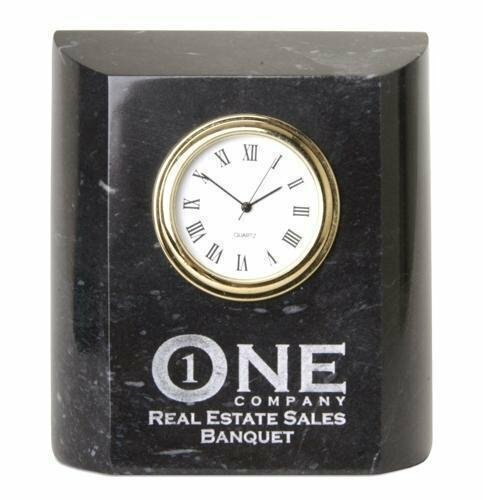 It is personalized with a scratch engraved brushed aluminum plate. 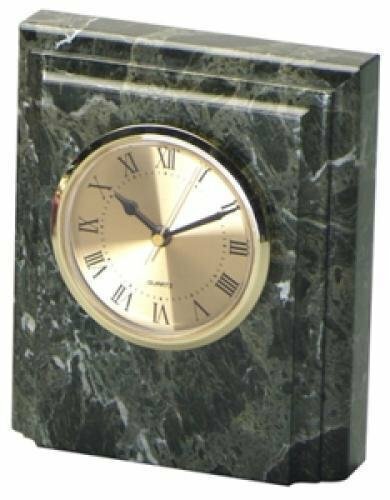 The piano finished walnut clock has brass accents and laser engraved black brass plate.